Card Maker Software generates thousands of identification cards and badges for various business requirements. 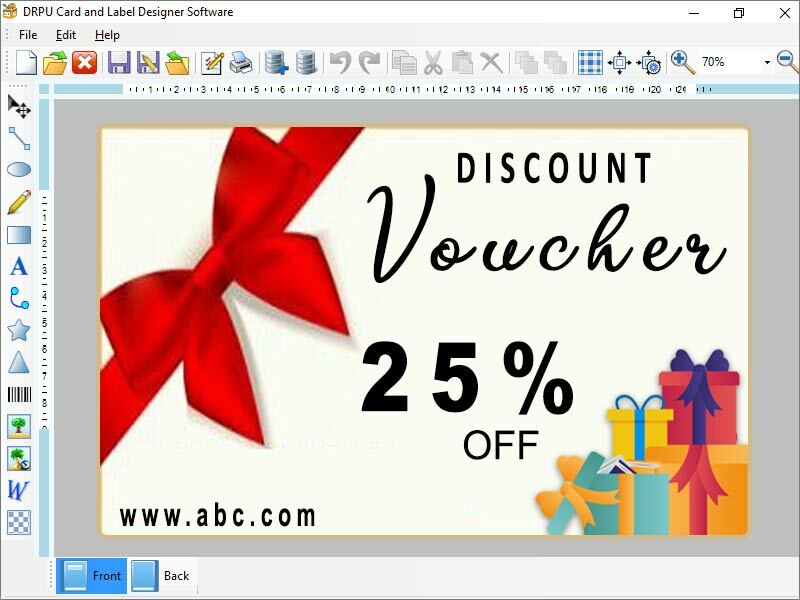 Advance label designing software offers various latest designing supports to build thousands of different labels with unique size, shape or color. Creative card maker software designs identification cards for both business and personal needs including student ID card, employee id card, visiting card, business cards or picture id cards. Card Maker Software easily builds bulk of high quality printable ID cards or labels for various official as well as business uses including retailers, warehousing, telecom, automobiles and many more. Id card maker application generates rounded, elliptical or rectangular coupons in user's specified colors in just few seconds. Perfect label designer tool facilitates by providing options to choose backgrounds colors or settings as per choice. Excellent label creator software offers password settings options for labels during creation process to make labels totally secured from any unauthorized access. Expert ID card generator software provides user friendly interface for all novice users with compete manuals which bring easiness during designing process. Inexpensive label designing utility creates designer stickers with advance print preview facilities which helps user to modify setting as per choice before actual creation. Id card maker utility provide excellent opportunity to save created labels or tags in user specified location on pc for further reference. employeesalarysoftware.com provides tag designing program which easily generates bulk of labels. Easily create multiple copies of business labels by using distinct text or barcode values offered by excellent label designing application. Best ID card generator software creates various distinct coupons, stickers, tags or labels by using wizard or blank formats. *Excellent label generating tool provides objects like barcode, text, line, ellipse, pencil, star, picture, text, arc, rectangle, ellipse etc. *Creative tag maker software offers provides facility to design and print thousands of distinct labels. *Featured tag creator application provides password protection facilities to prevent every unauthorized access. *professional ID card designer application provides preview facilities to modify created labels as per choice.